Happy Monday! Why do the weekend days seem so much shorter than the rest of the week? By the time Sunday night rolls around I'm always wondering what the heck happened to the weekend. Although I managed to get to IKEA on Saturday and work on the basement a little on Sunday, I didn't get nearly enough accomplished. Such is life I guess. 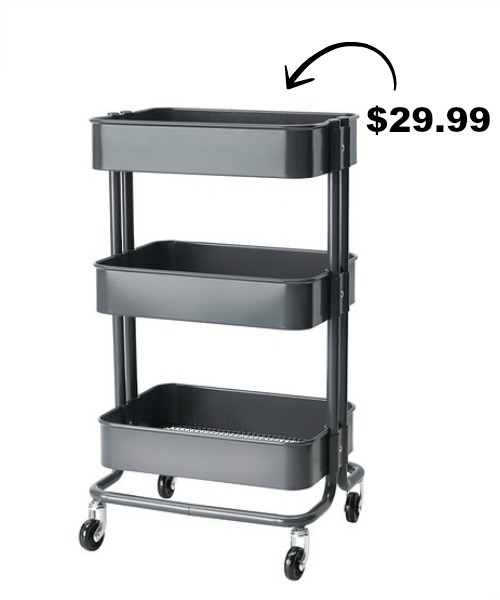 Speaking of IKEA, I realized this weekend that I never shared my IKEA RASKOG cart that I bought over a year ago. 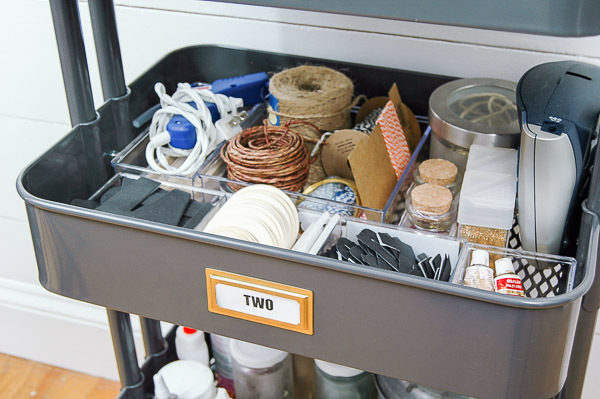 There are a ton of great uses for this little versatile cart, but I decided to use mine for mobile craft storage. 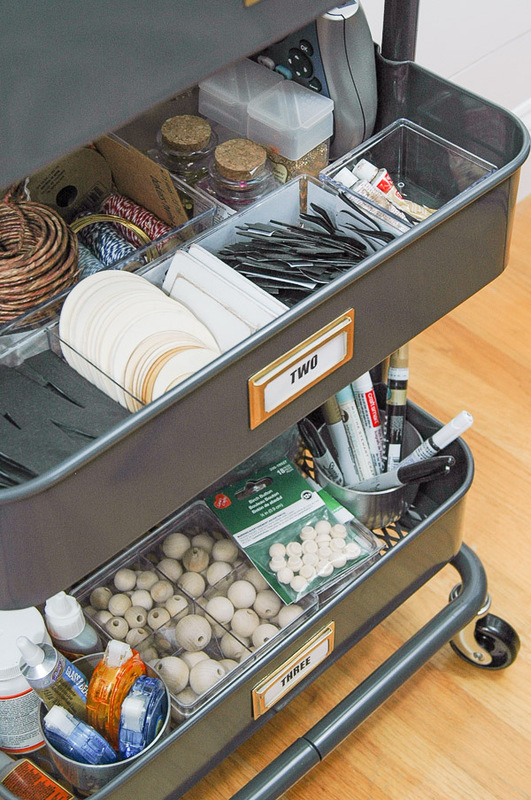 I'm mainly using the cart to corral a lot of my hardware and smaller craft items; hooks, pulls, tags, glue, knobs, etc. 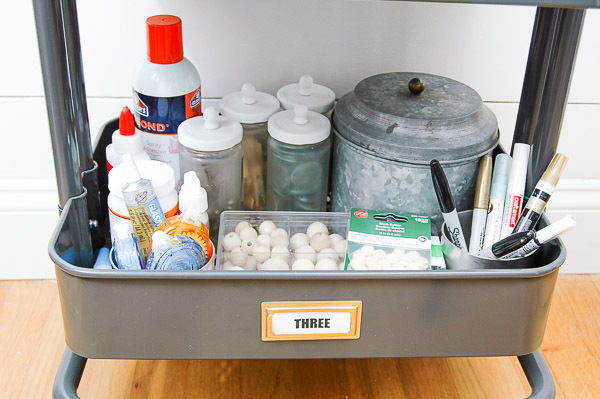 I picked up an inexpensive porcelain egg tray from TJMaxx that's perfect for keeping small push pins, brads and other hardware organized. 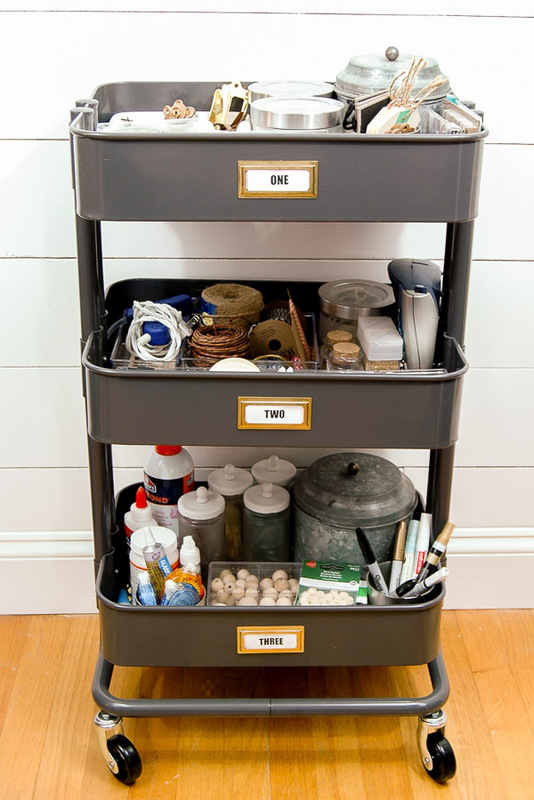 The two glass jars with lids and the galvanized canister all hold extra furniture knobs, while the clear containers in front keep extra tags and metal label pulls organized. 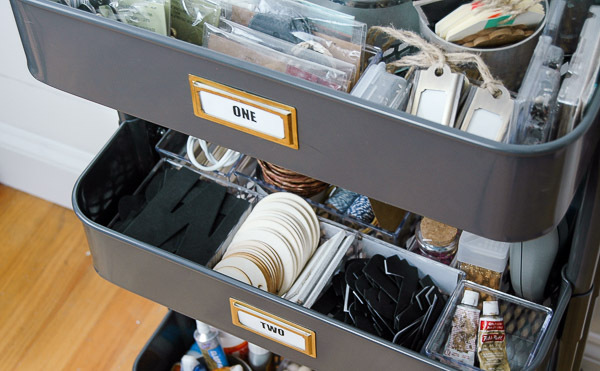 The second shelf is where I keep my favorite adhesive letters, Rub 'n Buff, wood tags, glitter, jute and decorative string, label maker and glue gun. 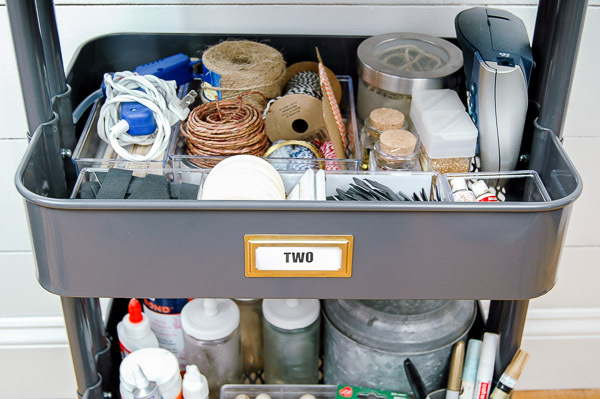 The third shelf is where I keep all my wood craft accessories (the galvanized canister is full with them as well) crafting markers, various glue and other adhesives. I've wheeled this little RASKOG cart around the house and it's been wonderful. It's sturdy, stylish and holds all my most used supplies. 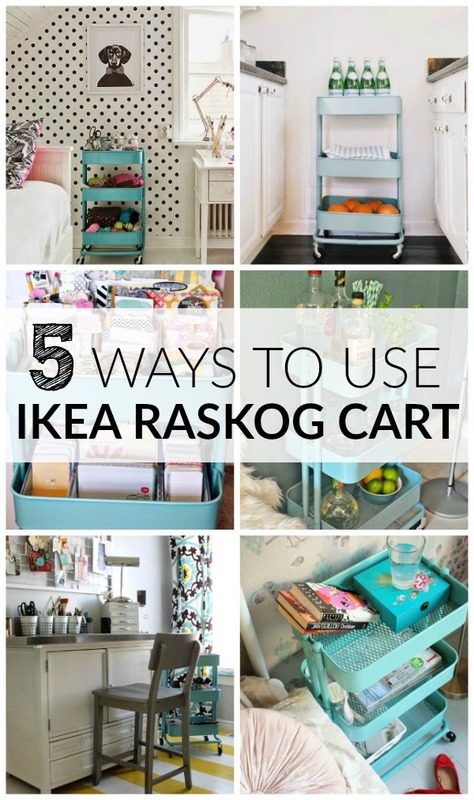 Looking for more RASKOG ideas? Yes, you would LOVE it! 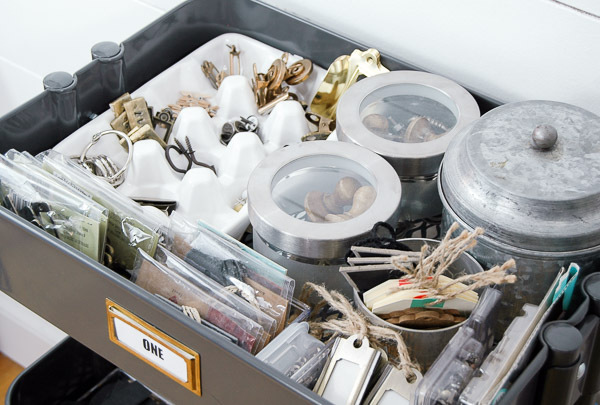 So many great uses and perfect for organizing. 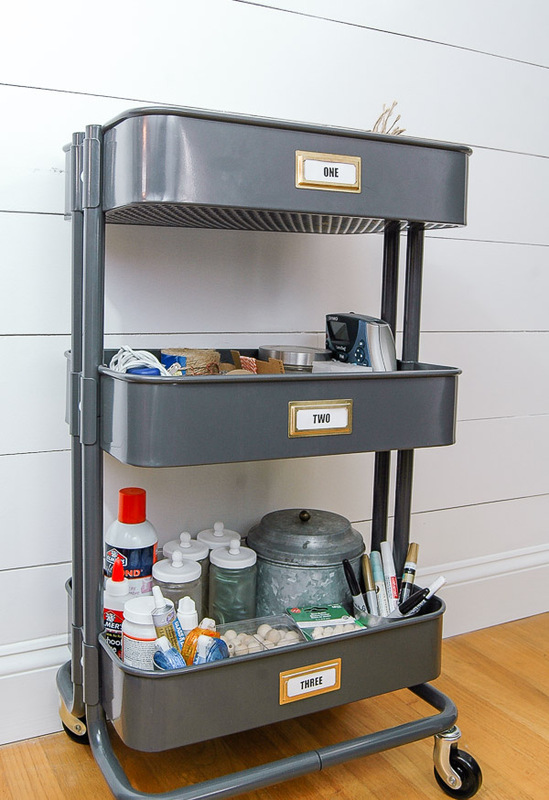 Great storage cart Karen! Must be nice to have one of those & be able to wheel it wherever you want! Wonder if Ikea still carries those? I could sure use one! I picked up the turquoise one today at IKEA in Atlanta! Can't wait to put it together and organize my scrapbook stash on it! I have two and lovethem. 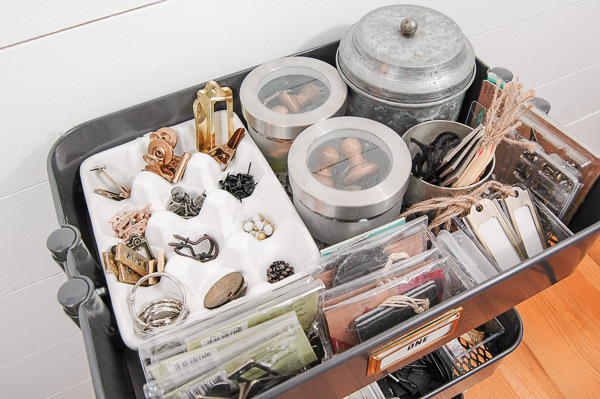 The bygel container and Antonio basket insert are great additions to use with them as well. 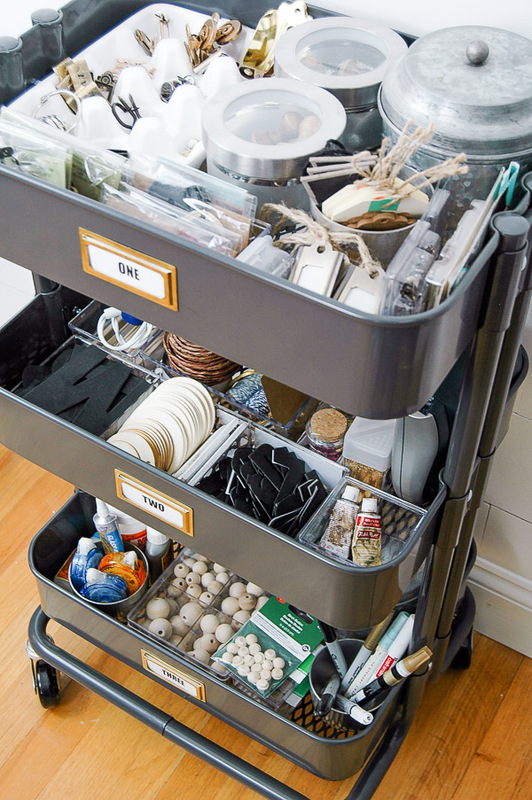 IKEA's utility cart is really such a handy storage solution for the home. 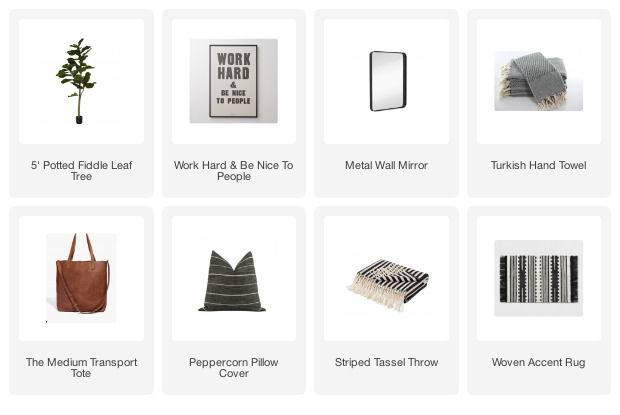 You can have one in every room for all the little items that are associated with that living space!